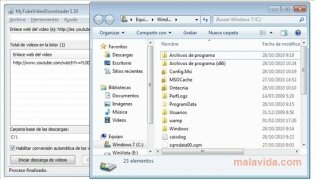 MyTubeVideoDownloader is a program with which you will be able to select the videos that you want from YouTube and then download them to your hard drive, in such a way that you'll be able to enjoy them whenever you want (without requiring an Internet connection) or that it will be possible to pass them to your favorite portable device (game console, mobile or MP4 player), so as to take them with you wherever you go. The interface is very simple and rather pleasant. One of the advantages that this program offers compared to other developments is that it will allow you to download file batches, that makes the process of getting videos that are split into several parts much easier, for example. To make the program work it's only necessary to paste the URL of the video in the program and add it to the list. The application is capable of downloading the clips in MPEG and FLV format. 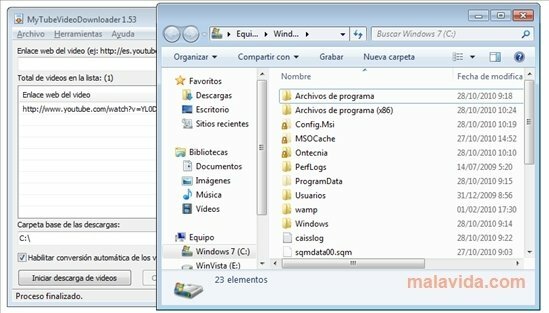 If you were looking for a simple and efficient tool to get hold of all the contents stored on YouTube, download MyTubeVideoDownloader.